"go-go gadget!" hehehe. 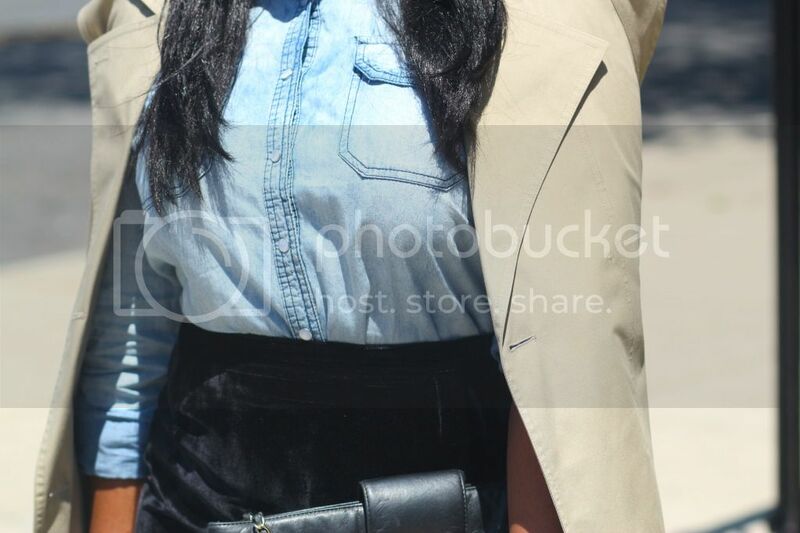 i am wearing a diy sleeveless trench; Forever 21 denim shirt; thrift velvet skirt and Zara shoes. 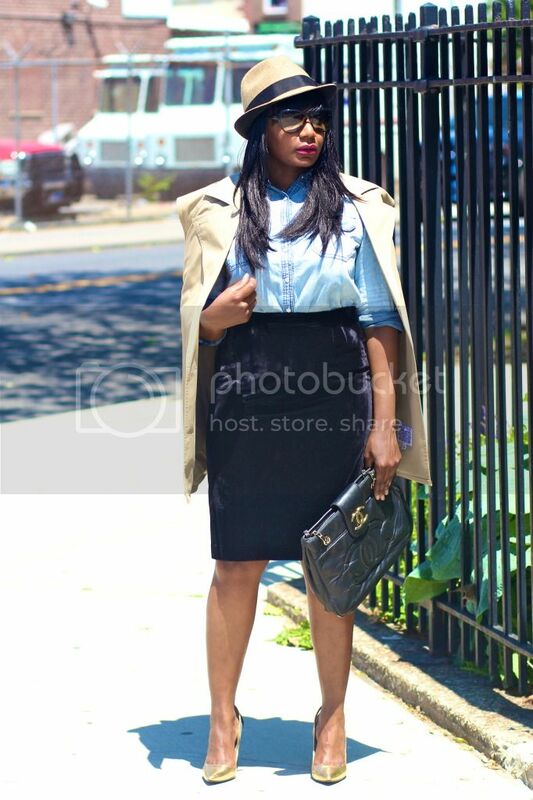 Such a chic look, the title is so cute :). so fashionable! love the shoes and of course the purse! This outfit it so chic! 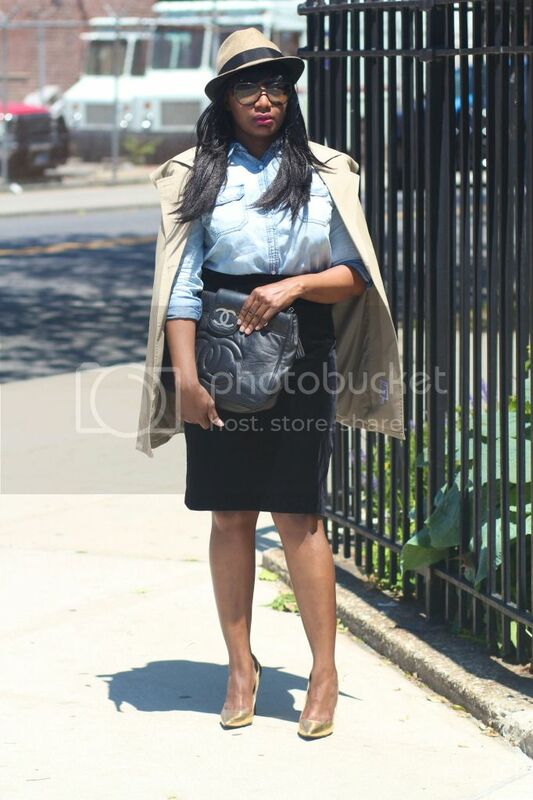 love the title & a DIY sleeveless trench?? DIY-perfection! I think that all the detectives on TV should dress like you! oh this is a great outfit ! speciallz loving ur skirt honey! you always manage to be so stylish and perfect in every details! I love your straight hair. and look at the shoes! Stunning look! I love all the mix of textures! amazing outfit! Lovely blog! Visit mine http://pleasestrikeapose.blogspot.com/ and if you like it follow me! Perfect outfit, but definitely! Classics! Trench coat, denim shirt, pencil black skirt and golden shoes...As I said - perfect!